Despite our expectations the EUR/USD currency pair continues falling down. Judging by the main indicators we should expect the start of the correction. 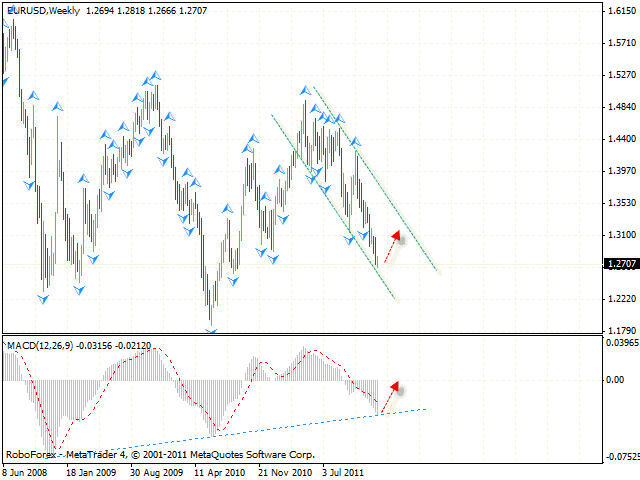 At the weekly chart of the pair MACD indicator was supported by the trend’s rising line. However, there are no any signs of a trend reverse at shorter timeframes. One can consider buying the pair if reversal signals are formed at shorter timeframes. At the H4 chart we can see the formation of the descending pattern, the closest target of the growth is the area of 1.2875. We should expect the price to test the descending channel’s upper border at 8 p.m. January 12th. One can consider selling the pair with the tight stop either near the channel’s border, or after the price breaks the border and leaves the channel. Pound is also testing the support line, we should expect it to rebound from the line and test the level of 1.5765. Divergence at the MACD indicator is an additional signal to buy the pair, one can consider buying it with the tight stop. Australian Dollar is moving according to the forecast. 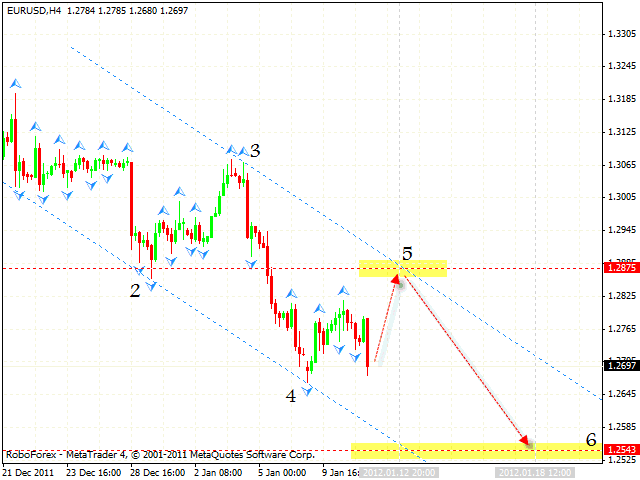 Currently one can try to buy the pair with the tight stop below 1.0270. The target of the growth is the area of 1.0477. 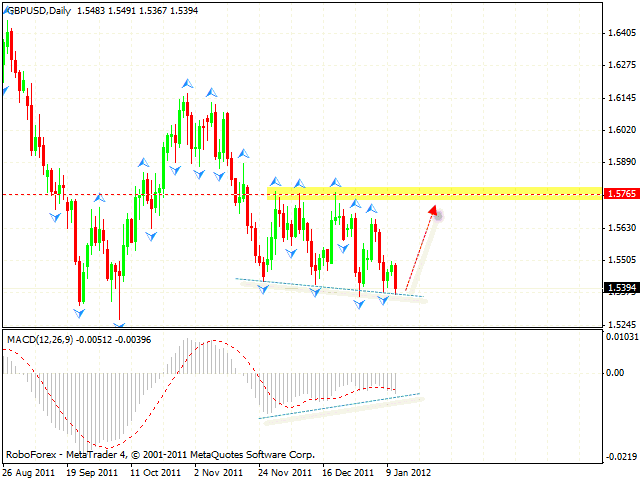 We recommend you to increase the amount of long positions only after the price breaks the level of 1.0350. 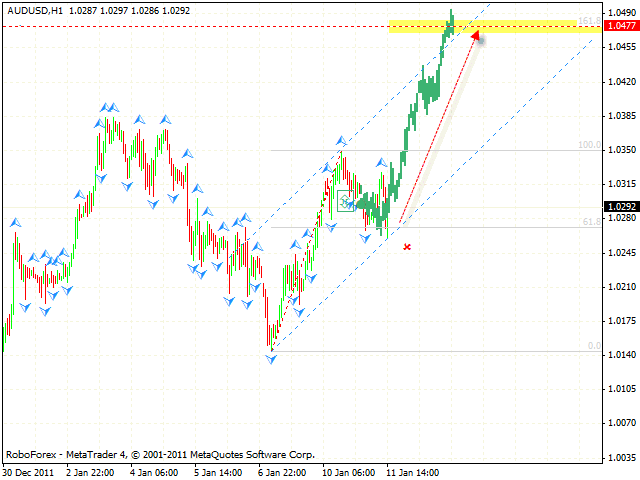 At the H4 chart of the USD/CHF currency pair the price is also moving inside the rising pattern. 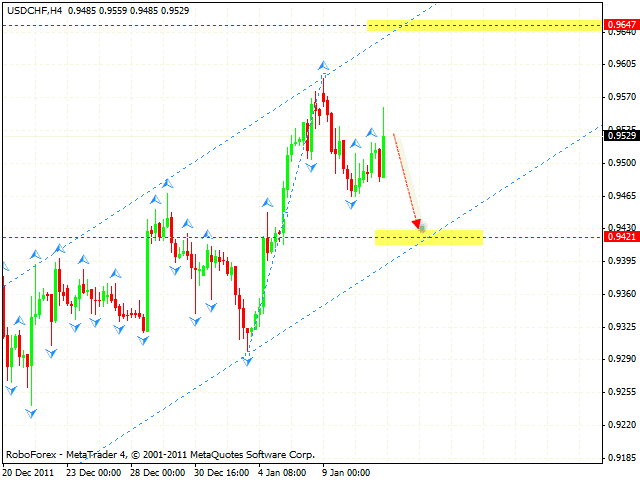 At the moment we should expect the pair to test the area of 5th pivot point, 0.9647. Here we have two scenarios. The first – the price is moving upwards to the level of 0.9647, the second – one can consider selling the pair with the tight stop after the price breaks the rising channel’s lower border.